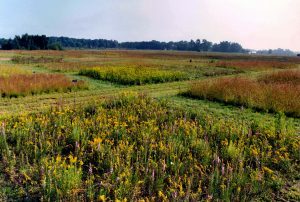 Long-term biodiversity-productivity experiments, such as these at the Cedar Creek LTER are among wide-ranging data that researchers will synthesize. 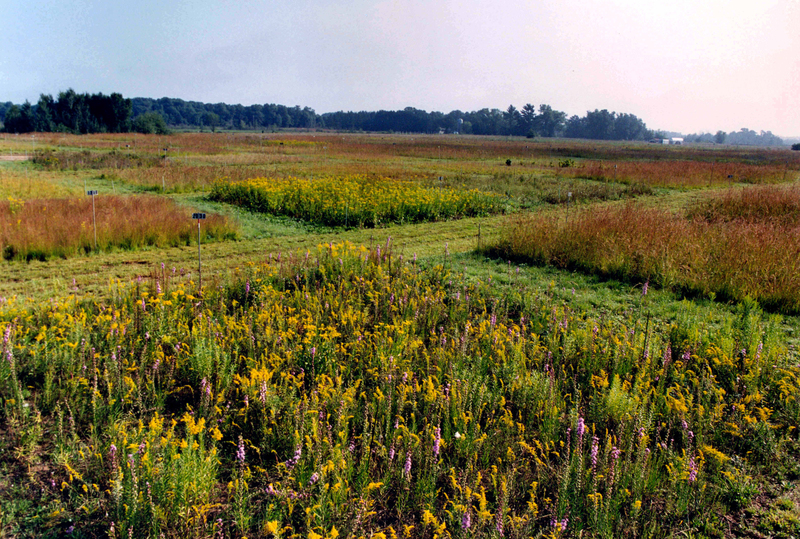 Project summary: Although hundreds of short-term local experiments indicate that random changes in biodiversity can cause substantial changes in primary productivity, considerable debate remains regarding whether these influences of biodiversity are weaker or stronger at larger spatial and temporal scales in natural ecosystems. Given this knowledge gap, current models often implicitly assume no influence of biodiversity on ecosystem productivity, likely leading to inaccurate predictions in at least some cases. The working group is developing and testing a strategy for scaling-up results from biodiversity experiments to natural communities by testing theory and bridging gaps between previous experimental and observational studies. In the four proposed meetings, one of which is co-funded, they advance understanding of scaling up in space, scaling up in time, and accounting for non-random shifts in dominant traits. Integrating these three advances will allow them to generalize from a few experiments to data from many grasslands and forests worldwide, including those at 17 LTER sites. The proposed activities would enable prediction of the scales and conditions under which changes in biodiversity strongly or weakly influence ecosystem productivity.